Versions of name: Pigenmuizina, Falkenhof, Husmans Hof? Manor house existed at least up to 1913. Land plot belonged to the heirs of the last owner of manor Norwell up to the middle of 1930ies. Owner of the land plot at the end of 1930ies - Valerie Paffrath. In May 1899 there took place the first larger collision of Riga workers with police and army - there started the "Mutiny of Riga". 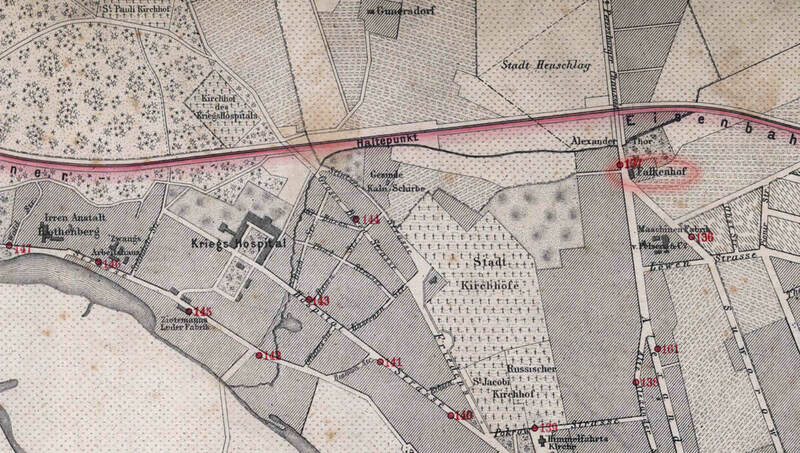 Nearby Klijani Street (Buzzard Street) got its name from the manor - initially it was Piekunu Street (Falcon sreet). In the work of J.C.Brotzes (2.) 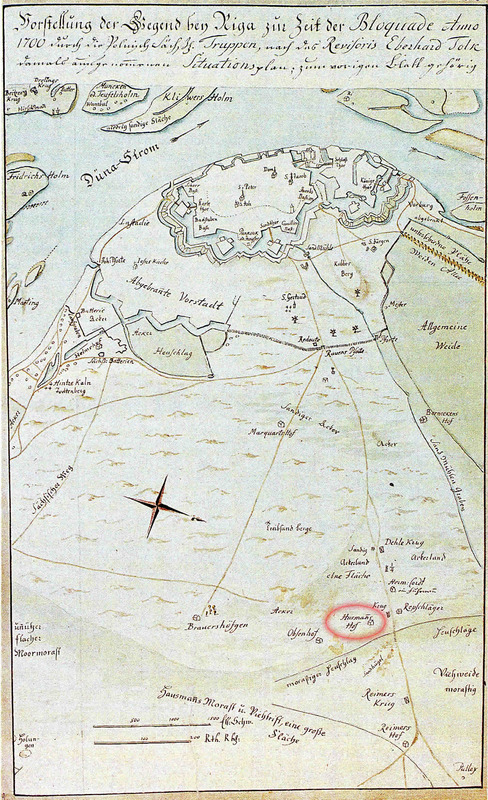 there is map dated with 1700 - here approximately in the place of Falk manor there is marked Husmans Hof - possibly the same manor. 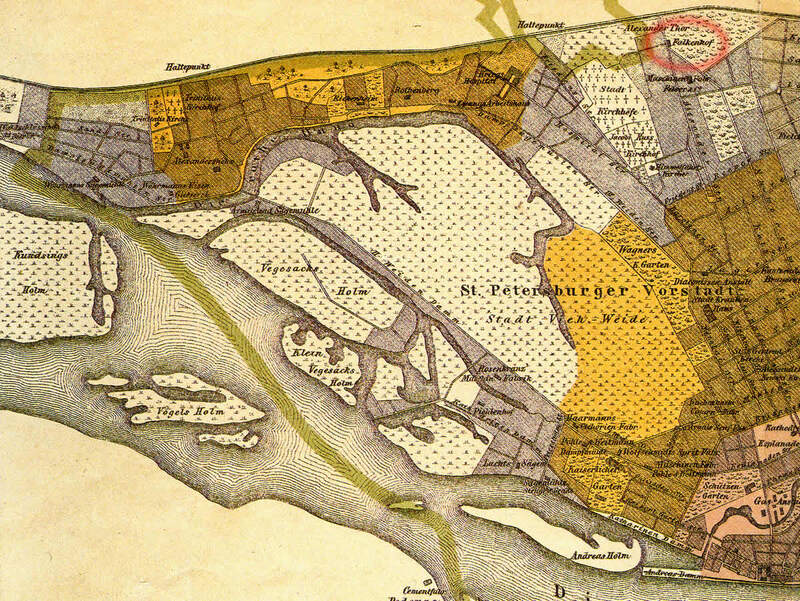 Husmans Hof in the map of Riga. 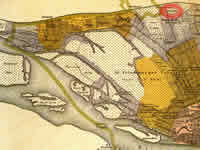 Map of E.Tolk redrawn by J.C.Brotze. Original from 1700. Broce J.K. Zīmējumi un apraksti, 2.sējums, Rīga, Zinātne, p.35. Enciklopēdija Rīgas ielas, 2.sējums, Rīga, 2008, p.165.